Sweden's leading striker through the ages, Manchester United forward Zlatan Ibrahimovic, has decried racism in the Swedish media in a bitter rant which aired on French TV. The 36-year-old former Swedish national team star, who was born in Malmö to a Bosnian father and a Croatian mother, has complained about negative media coverage in his home country in an interview with French Canal Plus. In the interview called "My dark side," Ibrahimovic claimed to have been discriminated against and subjected to differential treatment, despite being revered in Sweden, where a nearly 3-meter statue of beloved "Ibra" was scheduled for opening at Friends Arena. "They cannot accept that I am Ibrahimovic. If another Swedish player would do same mistake I do they would defend them. But when it comes to me they do not defend me," the Manchester United striker said, attributing the criticism to covert racism. "Undercover racism exists, I am 100 percent sure. Because I am not Andersson or Svensson. If I would be that, trust me, they would defend me even if I would rob a bank. But they're not defending me in the way that they should," Ibrahimovic said. ​Ibrahimovic claimed himself to be the best player through history in Sweden, the Aftonbladet daily reported. "What I did, nobody else has done. The Golden Ball in Sweden. The best that ever won these had two Golden Balls. How many do I have? I have eleven of them," Ibrahimovic said. Modesty may not be Ibrahimovic's forte, as former Paris Saint-Germain (PSG) star previously compared himself to fine wine, a great white shark and God himself. In France, he sparked a major controversy two years ago, when he called his host nation a "s*it country" that did not deserve PSG. ​When confronted by a Canal Plus interviewer who ventured that the Swedish media may consider him "too arrogant," Ibrahimovic said it did not matter. "I'm the best there is. Either you're proud or appreciative of what you have, or you're not," he said. 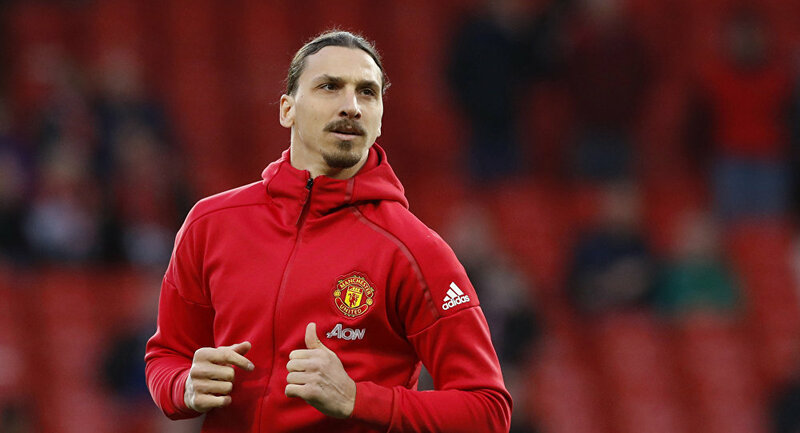 Ibrahimovic, who was born in the vulnerable Malmö district of Rosengård, previously admitted in a 2011 autobiography that he never ventured into the city center until his late teens. In the French interview, he recounted an incident when he was recognized by a passerby while walking in a posh district in Stockholm, who asked what he was doing there. By his own admission, Ibrahimovic immediately retorted "what the f*ck are you doing here?" only later to realize that it was perhaps only an exclamation of surprise at seeing a famous footballer in person. Ibrahimovic attributed his aggression to a self-defense mechanism, explaining that he never felt welcome when he first ventured outside of Rosengård, nor when he joined Malmö FF. "WHAT THE F**K ARE YOU DOING HERE?" ​Over his illustrious career spanning 18 years, Ibrahimovic had stints with Malmö FF, Ajax, Juventus, Internazionale, Barcelona, Milan, PSG and Manchester United. He was also a fixture in the Swedish national team from 2001 to 2016. A prolific goalscorer, Ibrahimovic is currently the second-most decorated active footballer in the world, having been awarded 32 trophies.